Here's a Serbian commemorative cross for the Balkan War of 1913. 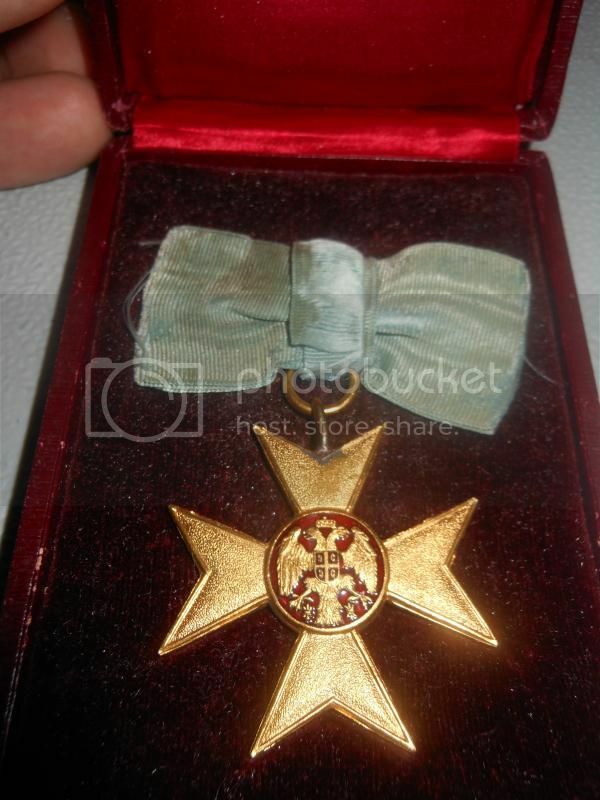 The Cross was instituted on 25 November (7 December) 1913 to be awarded to military and civilians for meritorious service during the First and Second Balkan Wars of 1912-1913. An alliance of Bulgaria, Greece, Montenegro and Serbia threw the Ottoman Turks out of almost all their remaining European territories in 1912 and the First Balkan War ended with the Treaty of London on 30 May 1913. However, the victors fell out over the division of the spoils, with Serbia and Greece forming an alliance against Bulgaria and the Second Balkan War broke out at the end of June. After initial setbacks, Bulgarian military successes stabilised the front in Macedonia. The situation was transformed by the invasion of Bulgaria by Romania on 10 July, leaving the former in a hopeless position. An armistice was agreed on 31 July with Bulgaria losing most of her gains from the First War and Serbia becoming the dominant Balkan power. The Cross was made by Arthus Bertrand of Paris and Huguenin Frères of Le Locle, Switzerland." Hope You don't mind, that I'm posting a "corresponding" cross, the "Barmherzigkeitskreuz 1913". Hi Peter, by all means please post. Additional information: the cross I posted was not produced in Serbia, it came from the manufacturer "Huguenin" in France.